President Rodrigo Duterte on Friday urged human rights victims during Martial Law to file a case against the late strongman Ferdinand Marcos while pointing out at the same time that liability is personal. But he presented a catch. “You know, the sins cannot visit the children. And liability is always personal. That’s a principle of law na sinusunod natin. 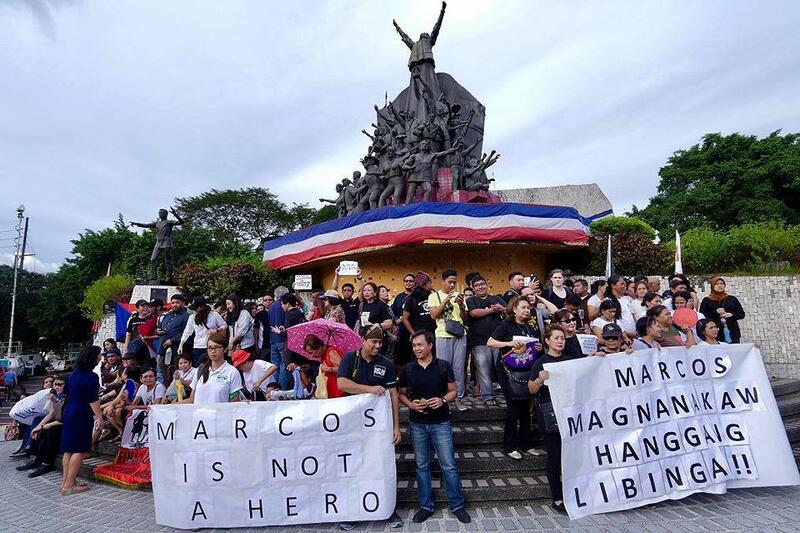 Sana at the day of the burial, they might just want also to stretch more of their understanding of what happened to our country,” Duterte said. The President also said that he was only following the law when he greenlighted the burial of the late dictator at the Libingan ng mga Bayani amid oppositions from various groups including victims of human rights violations during the Martial Law period. Duterte repeated that the issue divided the nation, although not widespread. He said again that Ilocanos have been dismayed for a long time. “It’s been there floating like a flotsam. We have to decide once and for all. And me, I was just being legalistic about it. President Marcos was a president for so long and he was a soldier. That’s about it. Whether or not he performed worse or better, there’s no study, there’s no movie about it. It’s just the challenges and allegations of the other side, which is not enough,” he said.